This second book in the Chiveis Trilogy continues the search for the New Testament in a world where the Bible has been lost. The Chiveis Trilogy takes readers hundreds of years into the future. War and disease have destroyed civilization as we know it. Much technology has been discarded and history is largely forgotten. Slowly, the few survivors have begun to build new communities, and kingdoms now prosper in a kind of feudal order. But the Word of God has been lost for centuries. 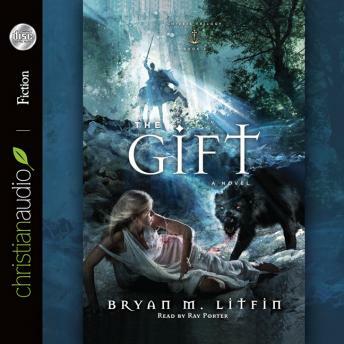 After the finding of an Old Testament in book one of the trilogy, The Gift picks up the story of Teo and Ana. Exiled from their homeland and trying to survive in unknown and dangerous lands, they search for any record of the missing Testament. Their journeys lead them into the region we know as Italy. An elite society welcomes Ana, who finds she must choose between her new life and her dream of returning to Chiveis. Will Teo and Ana's relationship withstand the circumstances and new enemies pulling them apart? And can Teo keep ahead of a powerful and mysterious force opposing his search for the New Testament? Litfin's imagination and fast-paced narrative style will capture the hearts and minds of all fiction readers.